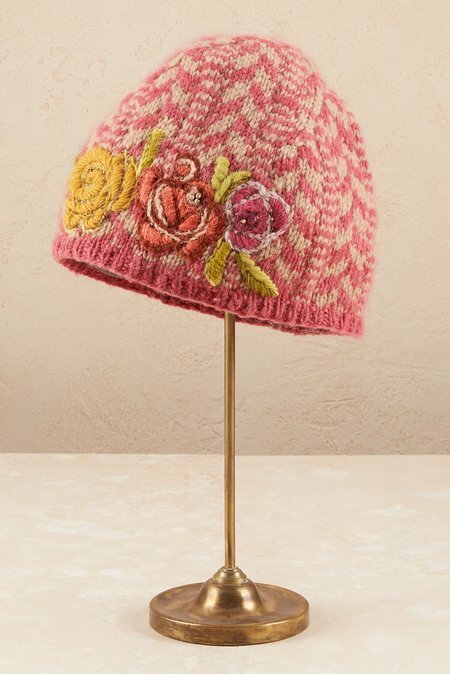 Crafted by artisans in Nepal, this luscious two-tone knit hat is turned into something extraordinary with beautifully embroidered flowers and leaves, accented with delicate beading. Finished with a ribbed-edge detail for contrast, we give this hat huge style points for charming design. Wool.